“So I want to sleep, that I think I will die right now,” – a phrase that you exactly pronounced at least once in your life. Have you guessed? At 68, Randy Gardner is alive, healthy and well, despite the fact that at the age of 17 he was awake more than 264 hours as part of a scientific experiment. The example of Gardner eloquently testifies that even if you spend a week without sleep, you most likely will not die (if it is not a very rare fatal family insomnia). But before you pour yourself a cup of strong coffee and get ready not to sleep all night, it’s useful to know something. While the world knows of longer episodes of sleep deprivation (up to 449 hours), Randy Gardner’s 11-day marathon is noteworthy because it was conducted to study the activity of his brain, and the results were interpreted at Stanford University. Throughout the time, psychiatrist William C. Dement (William C. Dement) tracked the boy’s brain waves to understand what happens to the brain, when we do not let him rest for a while. The subsequent analysis of Gardner’s brain activity showed that he was not as awake as one might think, since some parts of his brain, apparently, were periodically switched off for discharge. And although for Randy it was definitely not the most pleasant experience, the scientists suggested – and in a few years it was confirmed – that his health is safe. Particularly interesting in this case is the fact that the results of the experiment contrast sharply with experiments that were previously performed on animals. So, in 1898, two Italian physiologists kept dogs conscious for several weeks, until both of them died because some nerves in the brain and spinal cord, apparently, were degraded. Similar experiments on rats have also shown that a lack of sleep for rodents can be fatal. In humans, experts say, in the course of evolution, some neurological tricks (something similar in some birds and mammals) may have developed, allowing you to turn off parts of the brain in turn, thereby increasing your endurance. Most likely, this ability somehow helped people to survive in the past. But if you have time to think that now you can not sleep at all and do not worry about anything, then you are not quite right. Karyn O’Keefe, a sleep expert at Massey University, tells Science Alert that even a minimal lack of sleep increases the risk of injury or accident, especially when performing safety-related tasks. “For example, studies show that lack of sleep significantly increases the risk of car accidents,” she explains. And the American study cites the study, during which it was found that a person who sleeps 4-5 hours is four times more likely to get into an accident than a person who sleeps 7-8 hours. “As for the risk of work-related injury, another major study by American scientists found that workers who sleep less than 5 hours a day are 2.7 times more likely to suffer occupational injuries than those who sleep 7-7.9 hours a day, “adds O’Keefe. 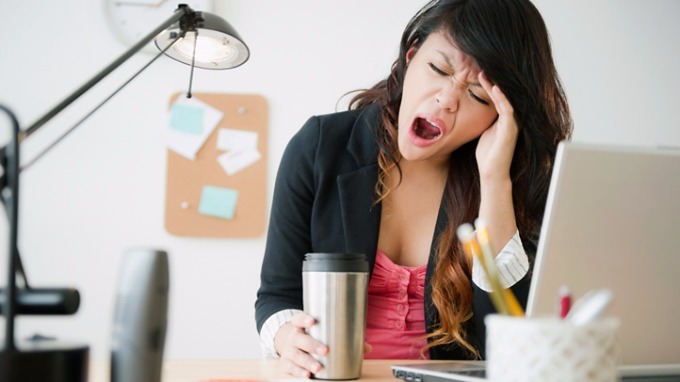 The permanent lack of sleep negatively affects other aspects of our health, including increased risks associated with obesity, type 2 diabetes, cardiovascular disease, stroke, and depression and anxiety. And since most people do not get the necessary 7-8 hours of sleep, this, according to doctors, can become a serious problem in the long term.